The European age of empires launched a process of capitalist globalisation that continues to the present day. It is also inextricably linked with the spread of revolutionary discourses in terms of race, nation, class, and gender: the quest for emancipation, democracy, political independence, and economic equality. 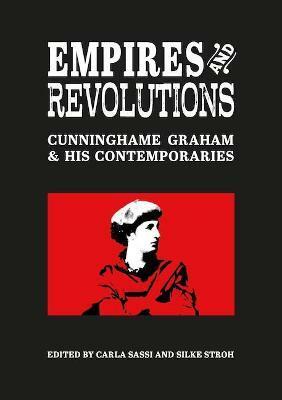 R. B. Cunninghame Graham (1852-1936), in both his life and his oeuvre, most effectively represents the complex interaction between imperial and revolutionary discourses in this dramatic period. Throughout his life he was an outspoken critic of injustice and inequality, and his appreciation of the demands and customs of diverse territories and contrasting cultures were hallmarks of his life, his political ideas, and his writing. This collection explores the expression of these ideas in the works of Cunninghame Graham and other Scottish writers in the century between 1850 and 1950. Carla Sassi is Associate Professor of English Literature at the University of Verona. Her publications include Why Scottish Literature Matters (2005); as co-author, Caribbean-Scottish Relations (2007) and Within and without Empire: Scotland across the (Post)colonial Borderline (2013); as editor, The International Companion to Scottish Poetry (2016). Silke Stroh is based at the English Department of Munster University, Germany. Author of Uneasy Subjects: Postcolonialism and Scottish Gaelic Poetry (2011) and Gaelic Scotland in the Colonial Imagination: Anglophone Writing from 1600 to 1900 (2017), her other research areas include modern anglophone Scottish literature, diaspora studies and transnationalism.